A horse’s characteristics will only get you so far. It’s what we’re willing to put into them that will take them all the way. I’m often asked “Vicki, what do you look for when you’re choosing a horse?”. It’s funny, some people expect a bullet point answer - a checklist of sorts which details the do’s and the don’ts, the rights and the wrongs, the good and the bad. While a good temperament, strong conformation and a lovely glossy coat are attractive qualities in a horse, I’m not too hung up on them. I follow a philosophy, not a checklist, when I’m choosing my horses. I believe that all horses have the potential to be special. It’s up to us, the riders and the trainers, to bring out the best in them. Of course, setting a horse up to succeed comes after you’ve ‘chosen’ your horse. On that note, I have a few suggestions that may come in handy. Sometimes you just know when a horse is going to be special. When you sit on it for the first time and you get that ‘wow’ feeling, that‘s how you know your horse has potential. Different people will get that feeling with different horses because we are naturally attracted to different things. Personally, I am big on soundness. I can tell if a horse is sore or struggling. If there is an issue, I can work with the horse to fix it. This is a skill that comes with experience. After all, it’s my job. It’s why I do what I do. But this can be hard for a trainer or a rider who doesn’t have the same eye or feel as me. If that’s the case, or if you are less naturally ‘horsey’, my advice is to go for temperament. A horse with a good temperament will be easier to work with. A highly strung horse will be harder to work with (and are arguably less enjoyable to work with). That said, in the long run, a highly strung horse is the most rewarding horse to work with when you have that first breakthrough. Conformation is an important consideration for a discipline. Having a certain conformation will determine how easy a job may be, but it does not determine whether that horse will be a champion in that discipline. A particular discipline is not limited to particular characteristics. Take my stallion Major from the 2014 Kaimanawa muster. One thing I look for when choosing a horse is a big, kind, beautiful eye, the kind where you can see right into the soul of a genuinely kind horse. Argo, from the 2014 muster, had a tiny eye, but he would do anything for you. He was a star, small eyes and all. He had the world’s biggest heart. ‘Heart’ is the secret ingredient to success. What do I mean by ‘heart’? A horse that has heart loves what it does and wants to please. This is a quality that isn’t determined by appearance, physical characteristics or behavioural traits alone. I don’t want to go into the competition ring if my horse hates what he does. A horse who loves what he does, but doesn’t have the right ‘form’, will still do well. A horse who has everything, but hates what he does, will not. A horse that has heart is a horse who will succeed. How can you tell if a horse has ‘heart’? You can’t really. But you can build it. Ultimately, it comes down to us: the owners, the trainers and the riders. A naturally academic kid is likely to do well at school, as is a kid that thrives in the classroom environment. They make the teacher’s job easy. Other kids may struggle - they lack confidence or they may have learning difficulties. A good teacher will identify the kids that need the extra support, and adapt their methods to suit their needs. When you walk towards a group of foals, the ones that are confident and self-assured will approach you with ease. Others follow behind - they’re timid and need support. 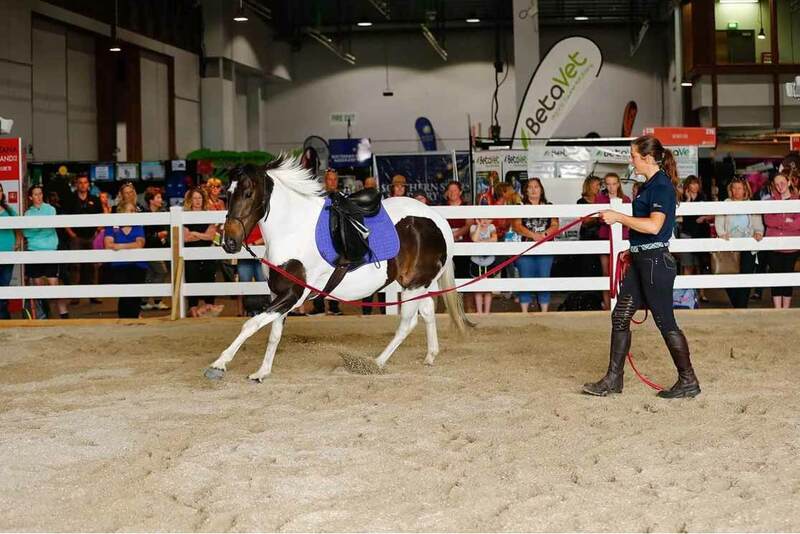 At the Road to the Horse 2018, Kiwi was the former; naturally brave and outgoing. He was in his element when it came to the obstacle course. He flourished. Kentucky, the 2017 World Champion Colt, was the latter, and needed more support. It is us, the owners and the trainers, who have to adapt to our horses so that they may go on to lead successful lives. Kentucky was a different horse by the time day three of the competition rolled around. I worked to earn his trust, respect and friendship, and with it, the heart, the try and the want to work. He was a champion because by the end of the competition he loved his job. The obstacle course, once a ‘no-go’ zone, became his playground. I built up that heart by creating an environment in which he would flourish and succeed. Building ‘heart’ can be a difficult process, especially with a new horse - whether wild from the muster or working with a ‘new’ owner. I continually hear stories of trainers who bought the ‘perfect’ horse, only to find the horse bucks, rears or takes off. A common mistake people make is that they assume they made a ‘bad’ choice. 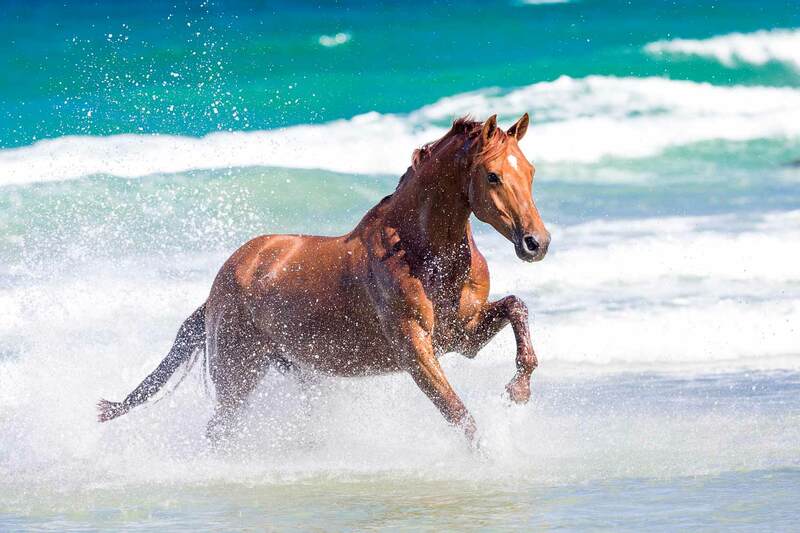 But a lot of horses are actually perfect in their environment – they are quiet, relaxed, easy. Take them away from that environment and they change. When a child is adopted, it takes time for that child to establish a relationship with their new family, to settle into their new bedroom, new home, new school. If you think about it, this is huge for humans, so why would it be any different for horses? Their location changes, along with their feed, their surroundings, sometimes the climate. 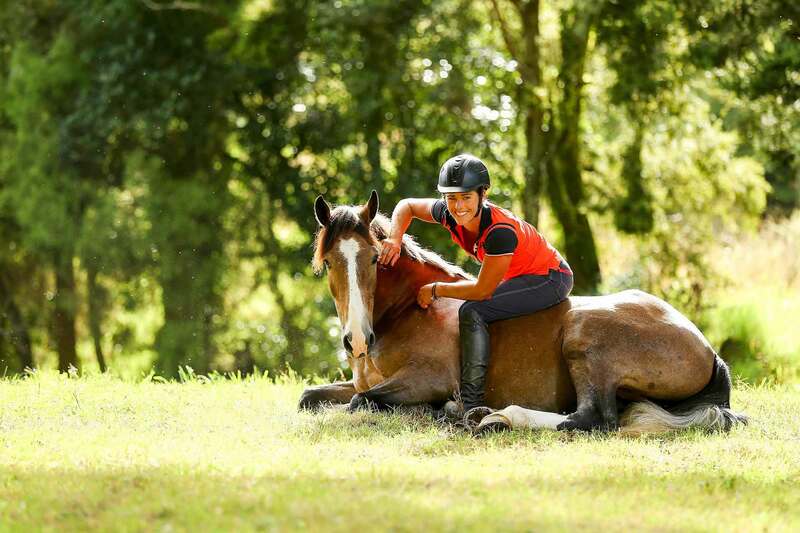 A new rider will place new demands on a horse not experienced with a previous rider. A horse from the muster has never seen a fence before, let alone a human. Of course they act out. When a horse comes into my care, I think of myself as a foster parent. My job as a foster parent is to take the time to get to know my horse and work to ensure the transition towards a new environment is smooth and enjoyable. 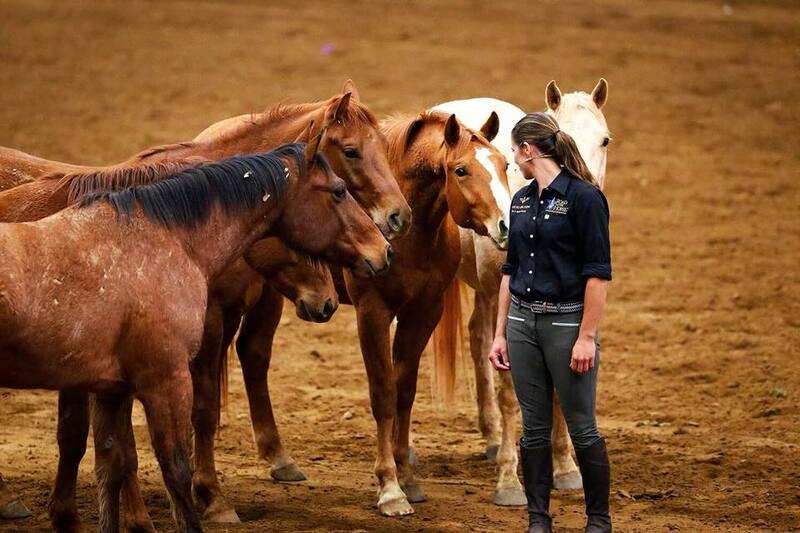 When working with horses, we sacrifice a lot – we invest so much emotional energy into them. Whether they are a trail horse, a trekking horse, a professional show-jumper, or simply someone’s best friend, every horse has the ability to be a champion at whatever they do, and most horses want to please us. A horse’s characteristics will only take you so far. It’s what we are willing to put into them that will take them all the way.